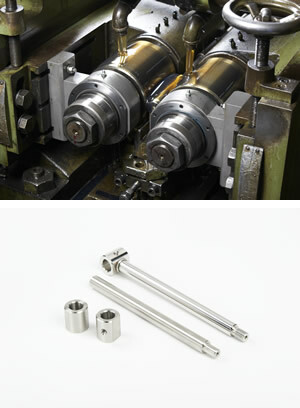 For over sixty years, Chicago Turnrite Company has been producing precision machined parts of complex geometry and material composition (basic carbon to exotics) in sizes from ½” and above in volumes of 100 – 100,000. Our uniquely diverse manufacturing process incorporates today’s leading-edge technology, hands-on production expertise, and exceptional customer service, enabling us to be a true turnkey manufacturing partner. Precision manufacturing (maintain tolerances to .0003"); superior machining capabilities, world-class quality assurance, on-time delivery, and short lead times are hallmarks that customers have accepted as standards for Chicago Turnrite. Ray Carlson / Chicago Turnrite featured on Chicago's WIND AM560 "Personal Best"
Our sixty-five thousand square foot production facility and warehouse, along with more than forty skilled employees, enables us to quickly and efficiently provide comprehensive manufacturing solutions, from procuring raw materials to shipping finished products.